[map] [street view] Northeast of Selmer, Tennessee, close to where Purdy Road intersects Sewell Road. [Picture] Image showing the RDS Radio Text and PI (call sign) fields decoded on an Insignia HD portable radio. This frequency was originally applied for in 1999, but it didn't get a call sign assigned until nearly six years later, when it became WSMM in April of 2005. 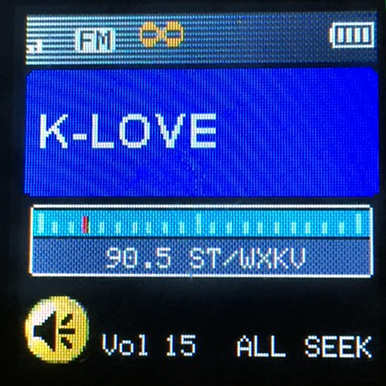 In November of 2006 the station was flipped to the K-Love Christian format and the calls changed to WXKV.